Let’s get chance to win ! 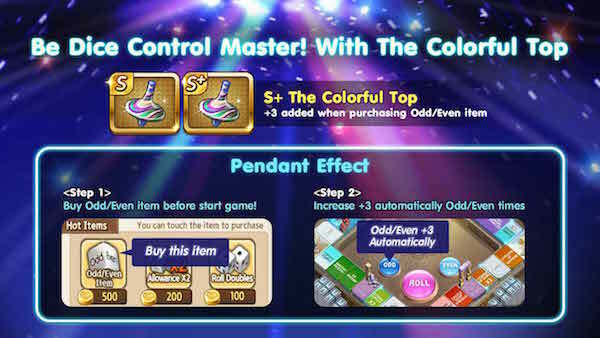 The Colorful Top S+ Ability: When purchase Odd/Even item, Add more chance to use it 3 times! The Colorful Top S Ability: When purchase Odd/Even item, Add more chance to use it 2 times! ระยะเวลากิจกรรม: 5 มิ.ย.16:00น. - 9 มิ.ย. 15:00น.